The right apple cider vinegar recipes can be a game changer for how easily it is to down this potent super food. Let’s face it, apple cider vinegar just doesn’t taste that great. But the benefits are more than worth the funny faces as you choke it down. For me it often resulted in a lack of taking it. It just plain doesn’t taste that great. So over time I started adding it to different juices and I created these apple cider vinegar recipes that I can even get my kids to drink. Apple cider vinegar tops the charts for super foods in my opinion. It benefits the body in so many ways, both for optimizing wellness and helping with ailments. Taken regularly it can truly be life changing. Here are the top 10 benefits of apple cider vinegar. Note: I love the addition of cranberry. Cranberries are loaded with antioxidants. They also are beneficial to urinary tract, digestive, and heart health. Stir together and drink. I recommend using this drink in the morning. Note: This recipe not only gives you the awesome benefits of ACV, but you also get the much-needed nutrients like; iron, magnesium, manganese, and calcium, that are in molasses. Molasses is good for your hair, and a safe sweetener for diabetics. Note: In my opinion this is one of the easiest ways to drink apple cider vinegar. So, if you are a lover of tomato juice you may actually really enjoy this drink. Stir together and drink. 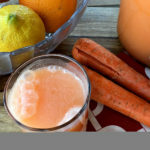 This juice is great for before every meal. Note: If you are looking to drop a few pounds, this juice may become your best friend. Both the ACV and the grapefruit will help you out. Grapefruit also lowers cholesterol,and helps prevent cancer and arthritis. Just take it straight up! Plug your nose and hold your breathe, and don’t forget a chaser. If you are interested in learning more about how apple cider vinegar can benefit you, check out this book! Do you have any great apple cider vinegar recipes? Please share below! Great recipes! I make a batch of vinaigrette with the ACV and have a little salad with lunch every day. Because you want the acidity then! Love your pairing with cranberry juice, bet the tart goes well with the vinegar. I take it like that but was told in the book that braggs family did you shouldnt drinkbit without the honey in it. How do you use ACV to remove moles on the body? I read that is dangerous. It can burn the skin. Pls be careful. I just started adding it to V8 juice everyday for the last 3 days and maybe it’s just me, but I really notice I have more energy then usual! I love it and it reminds me of my Grandma….she went through gallons of this stuff, and I always thinking it was Grandma’s snake oil….geepers was I wrong! My family loves passing down natural remedies and I have heard about apple cider vinegar for years now. I recently posted some easy ACV detox drink recipes on my blog that take the same time and effort as coffee or tea to prepare. 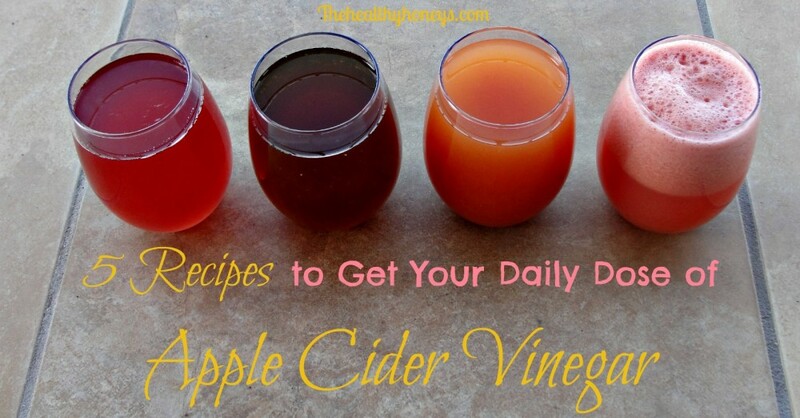 Drinking ACV daily is amazing for energy but for those who can’t acquire a taste for the drink you may prefer adding ACV to your meals…I’ve compiled everything from appetizer to dessert recipes on my blog. MY mother used vinegar on almost any meat she cooked. Beef, pork, etc. She also kept a container in the summertime with vinegar, fresh tomatoes, onions, cucumbers, sugar to sweeten, salt and pepper. This was usually served with fresh vegetables and meat. She just added to it throughout the growing season. I don’t know what is causing your distress when taking ACV. But you could try diuting it a lot and sipping on it throughout the day. That way your stomach wouldn’t get any kind of shock. You can use 1 teaspoon of Baking Soda to neutralize the acid in the ACV. If your stomach is getting irritated that easily you might need to consider a gut healing protocol. Any history of ulcers (h-pylori)? Yikes. I don’t know how any of you drink ACV straight up or near it!! In the past I had tried shooting a shot of ACV, followed with a chaser of water, 15 seconds later I was vomiting the whole thing!! our family make apple cider and apple cider vinegar. I also mix the vinegar with some olive oil and fresh garlic , some s and p and I have a wonderful salad dressing. I use it on lettuce salad but also just put some cucumbers and tomatoes in a bowl , pour some dressing over it and put in the fridge for about an hour then serve….sooooo gooood and refreshing during hot summer months! Great variety of recipes, thank you. I just happen to crave vinegar since I was a child. I remember when my mom needed to borrow some vinegar and sent me on errand across the gully to my Auntie to pick it up. Great fun for me because I had the fastest technical running trail from one side to the other. On my trek back home I would stop an sip some vinegar, and again some more. I got ‘caught’, my Uncle watched me through his binoculars and teased me later about seeing me sipping from the jar of vinegar. Getting into ‘big trouble’ was certainly not a problem during my youth. Yes, I was definitely raised a rural free range child running the trails (often barefoot) from here to there and all my sage and Juniper landscaped forts in between. I use apple cider every day in a salad and I mix apple cider with raw unfiltered local honey and take that by the shotglass. Double health shot!! I take ACV each morning with equal parts honey, usually 1 tbsp. each. I add about 1/4 c. hot water to melt the honey and 1/4 c. orange juice. Do u use the raw honey like most recipes call for or just a regular bottle like the one in the bear bottle. Thnx. I cannot afford that raw honey. Try finding someone who collects honey locally. It’s not nearly as expensive from them directly as it is in a store. I have a similar shot recipe but use the OJ as a chaser. I also use Agave instead of honey. Agave has a slower sugar breakdown. I have acid reflux and was prescribed all sorts of drugs to alleviate the discomfort. An herbalist friend suggested ACV. So every morning and afternoon I drink 1 TBS ACV in a cup with 3 slices fresh ginger and 1 tsp. raw local honey and I have no need for the drugs! For those comments above who dislike the taste of ACV, I assure you it’s an acquired taste- I now love it, and look forward to my “tea time” twice a day. I should add that I drink all of the above in a cup of hot water!! lol I just asked that question before I saw this…thanks! This sounds wonderful! As I have gotten older, it seems like everything gives me heartburn. I have had to cut out high fructose corn syrup from my diet anytime I can. I really don’t like to take Tums or any of that other stuff. I look forward to giving this a try! Thank you! Do you drink this like a tea hot? Or just the few ingredients you mention here like a shot. Just did not see hot water for a tea like drink. Sounds great tho. Thanks! Sparkling lemonade! Mix the juice of six lemons, a bit of stevia to taste (or honey), and 1/2 cup ACV in a pitcher of ice cold water. Mmmm, lemonade with a zing!! Do you add any water to this?? 1 tbsp ACV and 1 tsbp water. I throw up……. Emily Savage, is that in a gallon container? Thanks! Just like Emily Savage, I like ACV in a tall glass of lemonade. However, I cheat and use Simply Pink Lemonade w/ Raspberry. The ACV makes it a bit tart, but I crave it now instead of pop every night with my dinner. Tried it — really like it. Has a touch of tartness, much like actual lemonade. I take Apple Cider Vinegar-2 tablespoons in tall glass of water with liquid stevia. This makes it takes great & I don’t have any of the sweeteners. Is it supposed to make you urinate more often? My daughter has interstitial cystitis(sensitive bladder) and it makes her have to go more often. But I also read that ACV should help with this condition. Your thoughts? Does it hurt? I have ic too! Been scared to tried acv! I drink it in a 20 oz. container with 1/8 tsp of macha tea mixed in about 4 oz. of warm water and a two shakes of cinnamon and mix it very well with a hand blender that you stick in a tall glass, add 2 tbs of acv , 1-2 tsp of honey, mix that real well, add 1/4-1/2 cup of 100% apple juice, add ice to top and mix again. I saw this on a blog somewhere. It looks like swamp water, but you can get yourself to think it tastes like apple pie. It took 2-3 days to really like it and now I hate when I don’t have it. Drinking the acv for me lessens the production of mucous alot. When everyone was suffering this past spring, it didn’t bother me a bit. Got my teenage daughter to drink it a bit. She drank more for a sore throat when I mixed 1-2 tsp of acv in a cup of hot, fruit herbal tea and added honey and a bit of lemon to it. She NEVER drinks tea. And she admitted it helped. Add to 1 1/2 cups water and stir. You wrote, ‘test’ for the pineapple juice, did you mean Tbsp? But for me, it helps me to have a better digestion. I am always running in the toilet early in the morning and I feel my tummy so light and bloated free. I drink it every night before going to bed. Pineapple has something called bromelain which aids in having better digestion and that’s why if works for you. And of course the ACV has the benefit of breaking down fats. Make sure the cranberry juice is not cranberry COCKTAIL, that’s the one full of refined sugar. Use 100% cranberry juice or mix. My kids absolutely love the green smoothies I make for breakfast, so I just add the ACV to the blender when I make them! I put some raw local honey it them also, you can’t even taste the vinegar. I contribute the use of Bragg’s ACV to my very healthy body, I am in my 82nd year, take no regularly prescribed meds…I told my Dr about ACV for acid reflux,,,he just kinda looked at me and nodded his head!!! 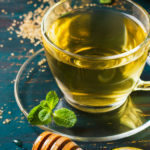 !Ask my 14 grandchildren and 7 great grands What To Take For coughs and sore throats,,,Vinegar and Honey is the answer. Also equal amount of ACV and distilled boiled with crushed garlic, honey and cayenne pepper is what you take at the start of a cold or flu. Wao ! 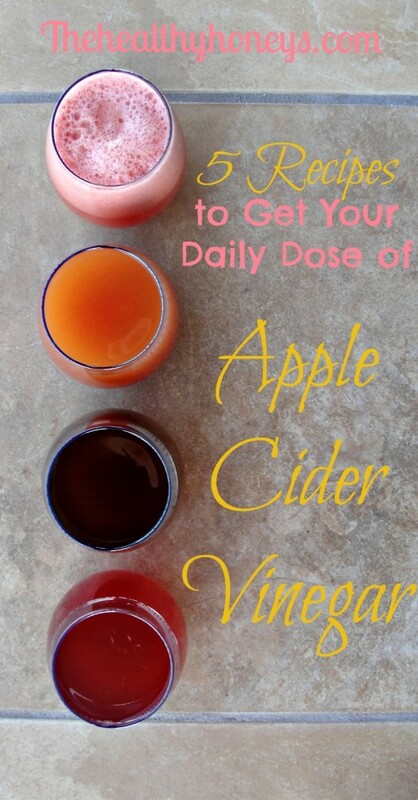 Loved the post … Exactly what I was looking for … ” how to include ACV in my daily diet ?”. Thank you ! After reading all I guess 1 spoon AVC with a spoon raw honey and any thing else ( cranberry juice / grapes juice / lemon etc ) for a flavor change makes a solid drink … Definitely going to try it .. ! Can’t stand the taste off ACV, so I bought the biggest empty capsules I could find and a syringe. This is the only way I can handle this stuff- in a capsule. Can I make the apple cider vinegar? any recipies please ? Is there a difference between ACV and just cidar vinegar? yes, you have to have organic with the mother included. get Bragg’s. It’s the only one I have ever seen. I use a glass salad dressing jar and mix the following ingredients. I chill in the refrigerator overnight, and have one each day in-between meals. The chia seeds absorbe nicely and provide Omega3, the MCT oil gives my brain “FOCUS” and curbs my appetite, and the drops of Stevia cut the harshness of the ACV, and give it a nice tart taste. Love This!!! , to chill overnight and shake and enjoy the next day, in between meals. Here’s a way to enjoy your ACV with no sugar or sweetener at all – just add seltzer. The fuzzy water does something to the taste of the vinegar that makes it very refreshing. I make my own carbonated water with a Soda Stream machine so I know exactly what I’ve added (only pure water). 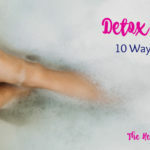 So – One glass, spoon in your daily allotment of ACV and top with a cup or two of fizzy water. Delicious! I’m going to try this. I drink three liters of seltzer a day at work. Try tropical blend v8 juice. just mix 3 ounce of that and 2 table spoon of ASV AND DRINK IT LIKE A SHOT .TRUST ME ITS FAST TO MAKE NO NEED REALY TO MEASURE. JUST DRINK AND GO .WATCH THIS Recipe take off. This is an easy and tasty shot! What is the normal amount of apple cider vinger to take per day if you have GERD. I make a banana and apple smoothie every morning to drink, and it’s literally two bananas, one apple, and ice blended in a blender. Would it taste okay if I added apple cider vinegar? love the recipes..more i can add to my list..i use the apple cider vinegar,honey and apple juice..i do a shot daily…it is my migraine cure…i use 2 oz juice,2 tbsp acv and 1 tbsp honey..i have tried lots of migraine pills,,none worked and most made me sick…..i also have tried different juices…in the summer i sometimes use lemonade…i enjoy the taste of acv..if i happen to run out of acv..i will just drink a shot of pickle juice which is mostly vinegar anyway.. I just add a tbs to my water, honey and lemon! These are great. I use ginger and turmeric with ACV for my morning pick me up. I never thought about putting in tomato juice, but it makes total sense. It’s like when I add BBQ sauce to a bloody Mary! I have fibromyalgia and all the physical stuff that comes with it. My husband has lover problems and many other health conditions. 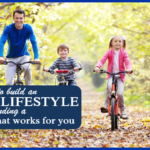 We are both around 40 yrs old and want to learn how to be healthier naturally. Your page is really interesting! Looking forward to learning more. Thanks for the comment, but do you really mean “lover” problems? (Maybe like erectile disfunction or libido?) Or do you mean “liver” problems?? I’ve thought soaking spaghetti noodles in Apple cider vinegar before adding meat sauce might actually be very good …The pasta will soften the vinegar and liven up the noodles…which are usually bland …???? Its worth a try.. I mix acv like a tbsp with v8 a cup or so with chai seeds helps with hunger so far I’ve just started so waiting to see if it helps with weightloss!!! Or perhaps the medications should all come with more intense warnings. 🙂 Thank you for your comment. I make a drink that my kids refer to as Mommy Juice. It’s our go to drink in the winter to help prevent and get over cold and flu symptoms. It tastes sort of like a wassail. Sometimes I’ll make a crockpot at a time and use cinnamon sticks as they incorperate better than powdered cinnamon. I used to take ACV 3 times a day,had really no additional exercise, and the weight really started coming off. I, like many others, couldn’t get on board with the taste. It was worse in the mornings, since you had to take on an empty stomach. Well, since it worked so well, and iremember feeling loads better when iwas drinking it, I guess I’m ready to give it another try, and since I need to loose several pounds. By looking through different drink recipes on the internet, and fooling with ingredients that I have on hand, I have created something that tastes great, and I can’t taste the ACV at all! I will have no trouble drinking this, and looking forward to experimenting with other waters and fruits. I use ACV everyday. Just have to not do too much. I have some constipation. Any suggestions to combat this side effect? I’ve never heard of ACV causing constipation. But when I’m dealing with constipation it can generally be linked to a few causes. 1- I’m dehydrated. Drinking more water often helps. 2- I need more magnesium. Most people struggle to have adiquate magnesium levels. I like using Natural Calm as an oral supplement or taking epsom salt baths to combat deficiency. 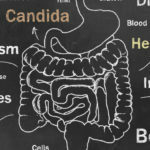 3- My gut isn’t getting enough good bacteria. Eating fermented saurkraut, or other fermented veggies, or drinking kefir can help supply you with a good source of probiotics. Hi, about the pink super juice.. Yes! Either way would be fine. Because of not eating on time I’m having trouble with belly pain (gas or wind) can I use apple cider is so how ?? I fill a water bottle with water, 2 tbsp ACV, 3 droppers liquid stevia, and 8 drops lime essential oil. Tastes like limeade! Apple cider and apple cider vinegar these two are the most admirable products in my house because my husband love there taste and when we is on dinning table he put apple cider vinegar in salad also which my kids love too. Well this is a nice blog and very helpful tips are provided. Thanks for sharing this informative blog. Does the standard no name apple cider vinegar work or does it have to be brags? Can you mix up the ingredients, like pure raspberry juice and honey? You can use any organic, raw ACV with the mother. I have tried other brands but personally prefer the flavor of Bragg’s. Raspberry juice and honey sounds like a really yummy way to drink it. Talk about vinegar and my mouth starts watering. The tomato juice and the cranberry sound Great. I will be drinking that. It is so good and so good for you. If you have interstitial cystitis it will irritate your bladder, too much acid.